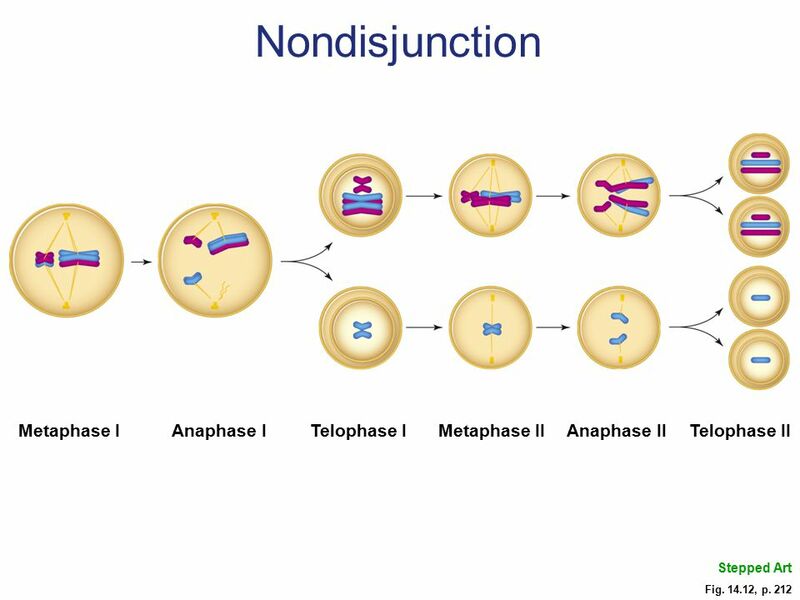 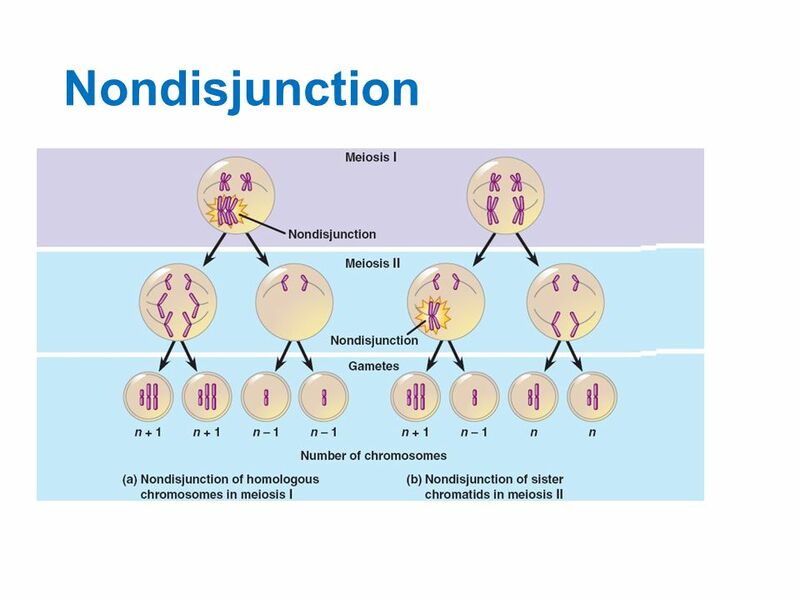 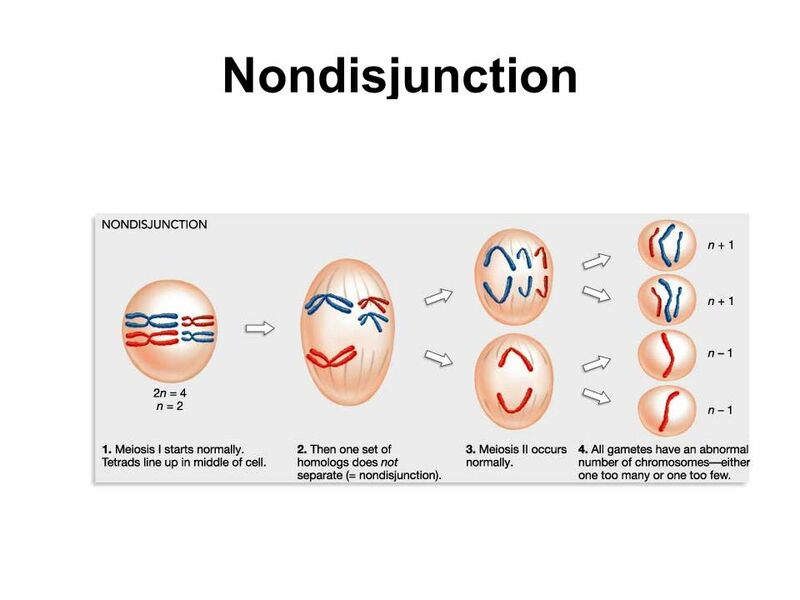 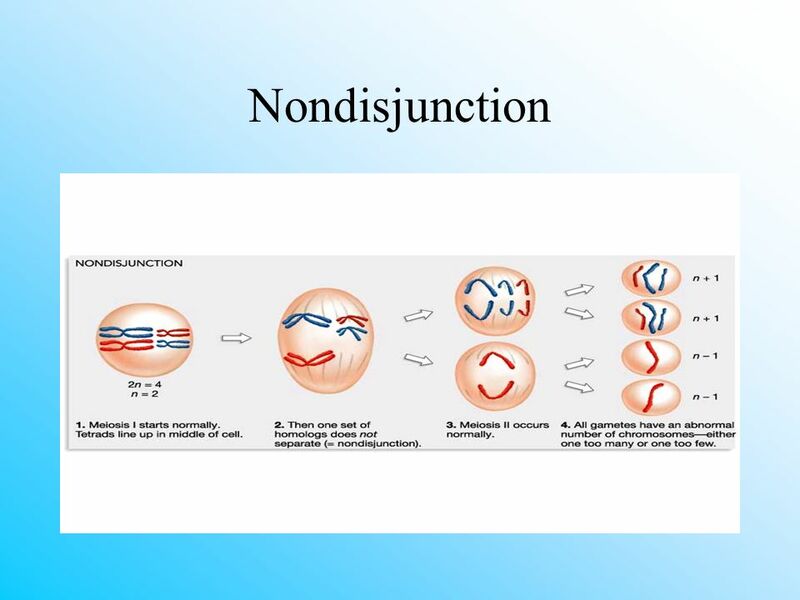 Nondisjunction is the failure of homologous chromosomes or sister chromatids to separate properly during cell division. 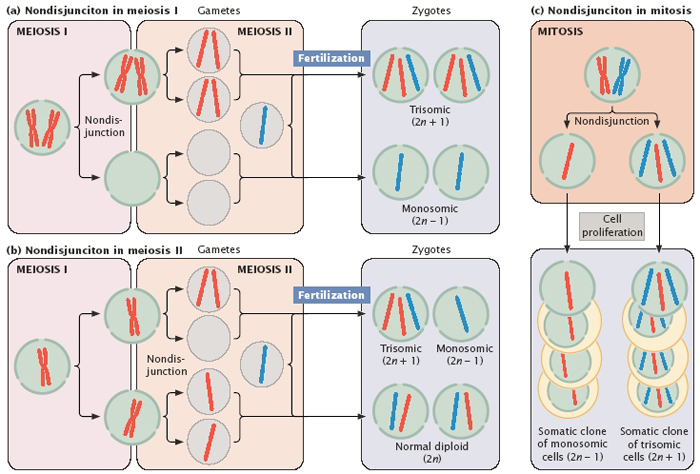 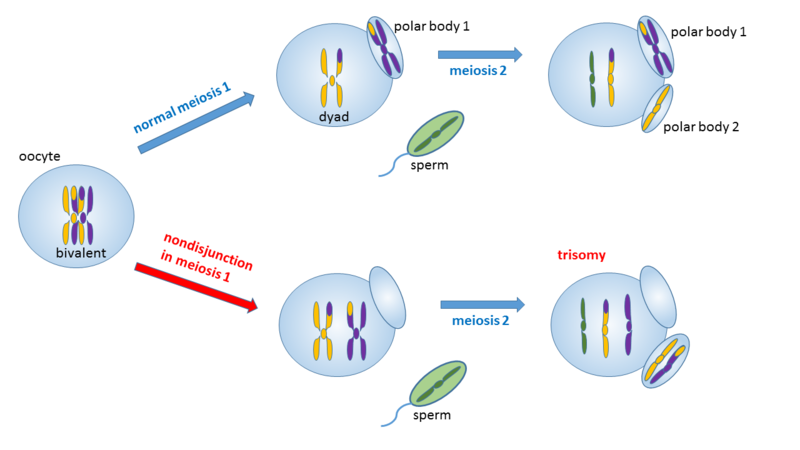 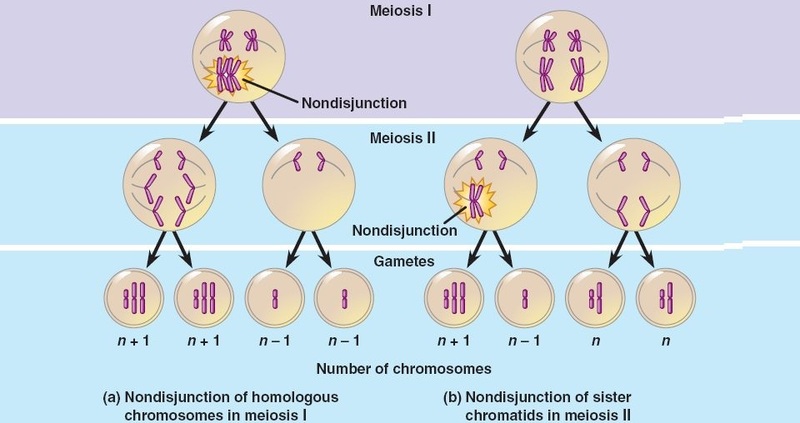 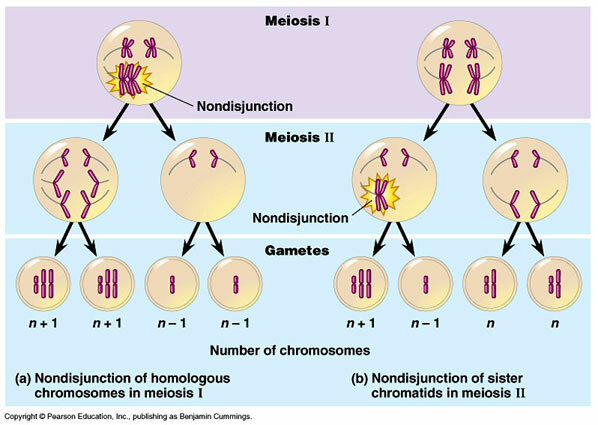 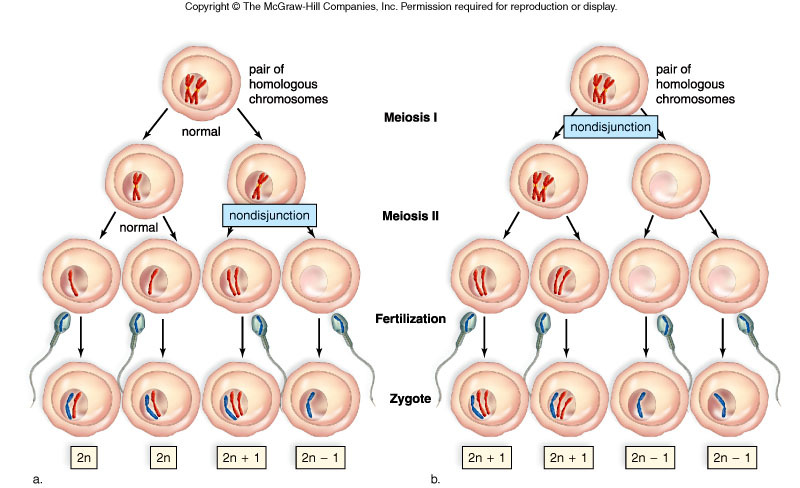 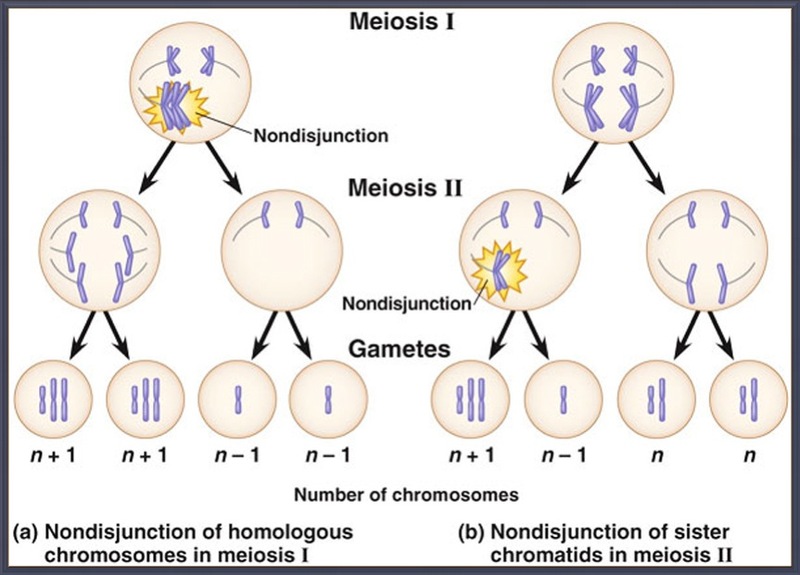 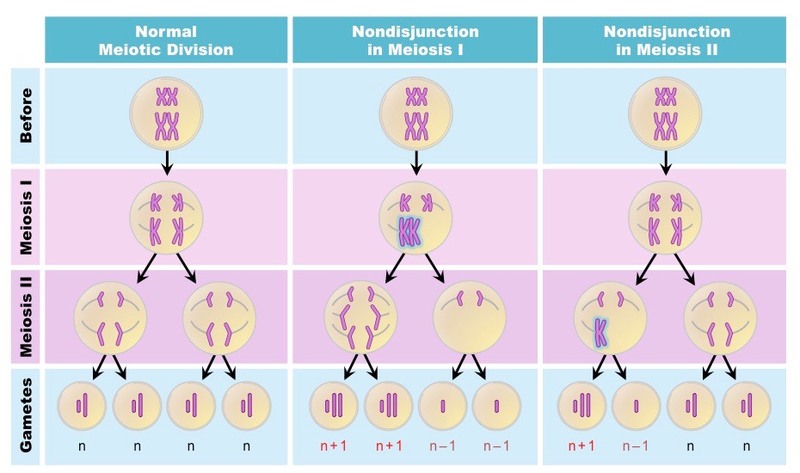 There are three forms of nondisjunction: failure of a pair of homologous chromosomes to separate in meiosis I, failure of sister chromatids to separate during meiosis II, and failure of sister chromatids to separate during mitosis. 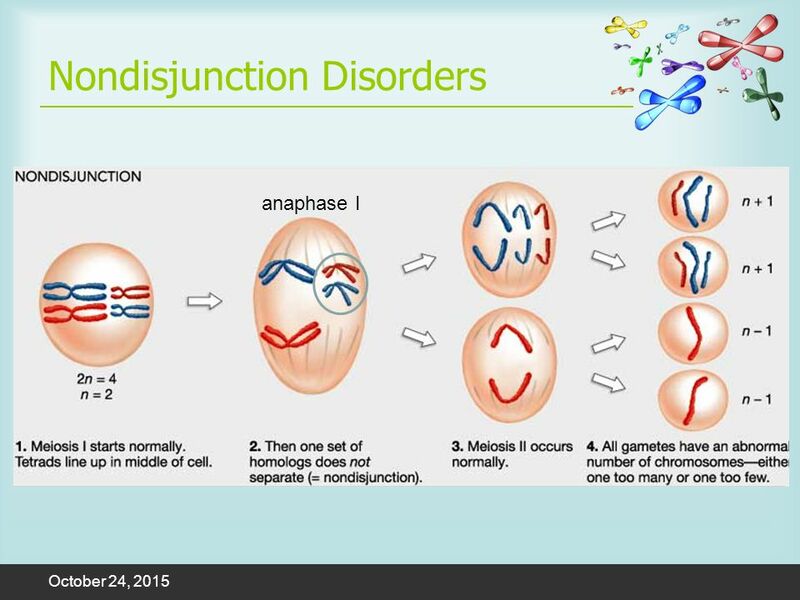 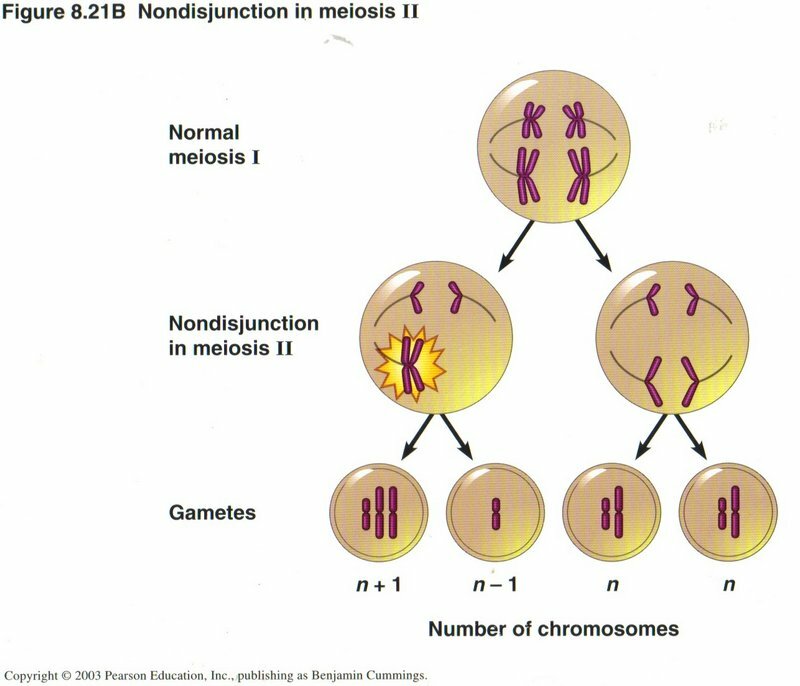 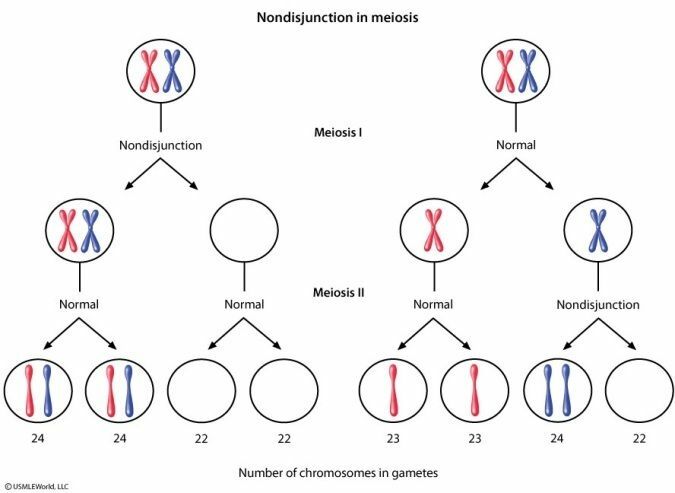 Nondisjunction results in daughter cells with abnormal chromosome numbers (aneuploidy).